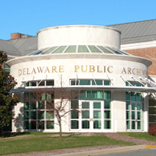 On Saturday, August 6, 10:30 a.m., the Delaware Public Archives will sponsor a program entitled “Location! Location! Location!” Retired State Archivist and Delaware historian Russ McCabe will discuss the many ways in which geography shaped the history and development of Delaware and the Delmarva Peninsula. With particular emphasis on the colonial era, the early statehood period, and the long-running boundary dispute, the program will focus on how external events of world and national history intersected with the physical environment to give us the First State as we know it today. Having served the Delaware Public Archives in numerous capacities for more than 30 years, Mr. McCabe retired as State Archivist and Director of the Archives in 2009. Well known for his wealth of knowledge about Delaware history and the interesting programs he presents on the state’s rich historical and cultural past, McCabe has been a popular speaker throughout Delaware for many years. The program is free to the public. No reservations are required. For more information, contact Tom Summers (302) 744-5047 or e-mail thomas.summers@delaware.gov.